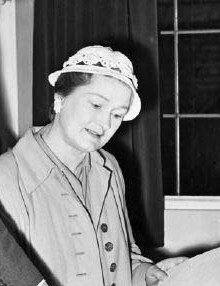 Writer of "gentle tales of rural England"
According to the electoral rolls, the family moved from Nottingham to Bleasby, a small Nottinghamshire village, at some point between 1914 and 1920. 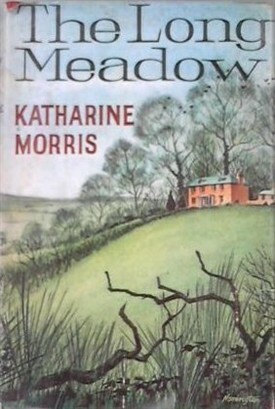 In Katharine’s obituary in The Guardian, 20 September 1999, it is said that her mother persuaded her father to buy a house in the country, where the family could remain for their lifetime. During her meeting with Lionel Britton, he signed for her a copy of his book Hunger and Love, see picture opposite. Katharine Morris died on Sunday 22 August 1999 and her funeral was held at St Mary’s Church, Bleasby on Friday 27 August 1999 when two of her poems were read. 8. The Newark Herald, England, Newark, Nottinghamshire 1957/06/29; p.2; col.5. This page was added by Website Administrator on 16/02/2015.